Neet DAC review | What Hi-Fi? While building its new website, Neet is distributing its splitters, adapters and cables through Amazon and eBay. Hidden in that large selection is this DAC, available for £33 including delivery. Compared with near rivals, the Neet’s metal chassis and reassuring weight impress, although a closer look shows a few gaps in the casing. 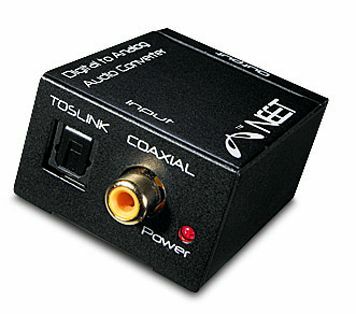 You get coaxial and optical ins, a pair of analogue outs and the Neet works with 24-bit files up to 96kHz – which, along with the £7 saving, see it beat its peers on paper. However, it doesn’t sound as good as them. There’s nothing too wrong with the delivery: timing and detail are decent, there’s fine tonal balance and plenty of attack, but the soundstage it produces lacks spaciousness and notes need more solidity and roundness. Using the Neet between a telly or budget Blu-ray player and a stereo system will give improved results, but it’s hard to imagine why you’d buy it when there's better out there.